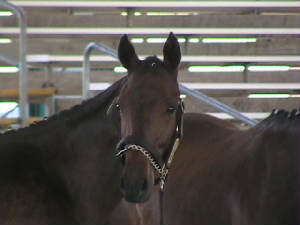 Don't cry for the horses that life has set free. 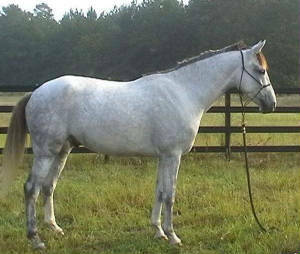 A million white horses forever to be. Don't cry for the horses now in God's hand. As they dance and they prance in a heavenly band. They were ours as a gift, but never to keep. As they close their eyes forever to sleep. Their spirits unbound. On silver wings they fly. A million white horses against the blue sky. Look up into heaven, you'll see them above. The horses we lost, the horses we loved. Manes and tails flowing they gallop through time. They were never yours - they were never mine. Don't cry for the horses. They'll be back someday. When our time is gone, they will show us the way. Do you hear that soft nicker? Close to your ear? Don't cry for the horses. Love the ones that are here. 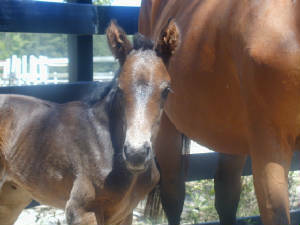 Illusionist, by Escudo II x Tigris, 1st Grandson! They keep getting better, and better! 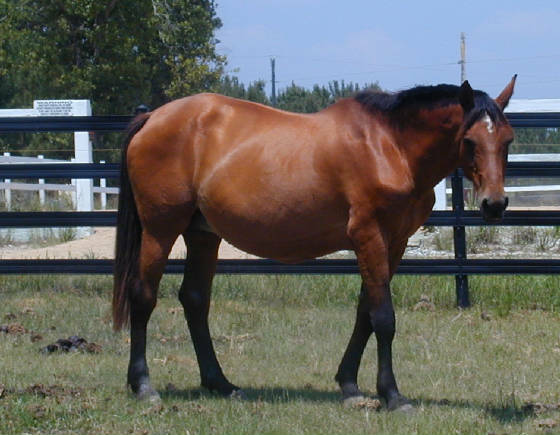 User Fiendly was a top filly of 1997. 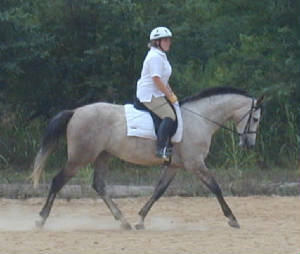 She went on to a career with her amateur owner in dressage. 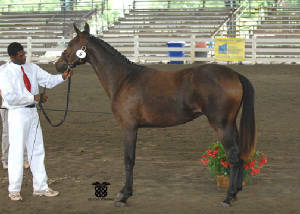 Both of her colts were First Premium, with scores in the top ten in the US for BWP. 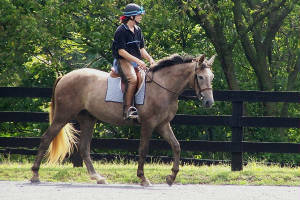 Aleksei now competes in Dressage with his amateur owner, though he showed tremendous scope and potential for jumping. 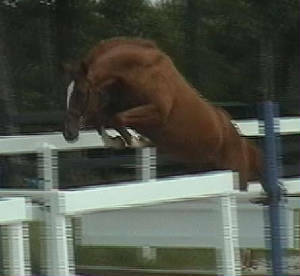 Billy is a Hunter/Jumper in Maryland. For the Next Two Years, Girls Ruled!! The next two fillies by Nicholas were fabulous! 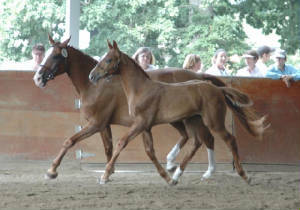 Both were among the top fillies in their age group as foals, and went on to earn their Elite Status C-label with BWP, and finish their Select Performance tests with scores to earn them "Select" Status with BWP. 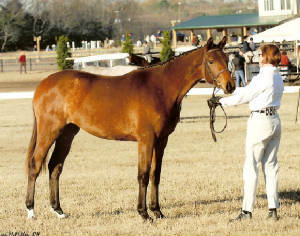 Catalina Beauty also won the BWP National Yearling Futurity in 2003. 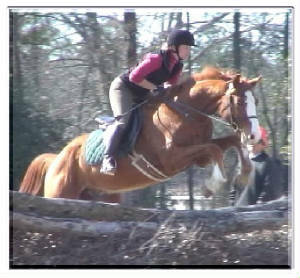 Both mares continue to compete in the Hunter Division with their Amateur Owners. 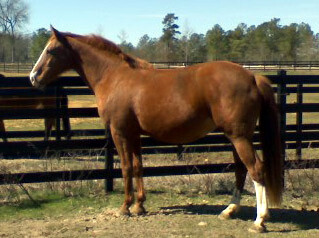 Perhaps her most talented foal to date, Feuertanzer has shown scope, willingness, and outstanding ability! He scored an outstanding 83 points under saddle as a three year old at the 2008 BWP Keuring, tying with a four year old for the Top BWP Horse Under Saddle in the USA!!! 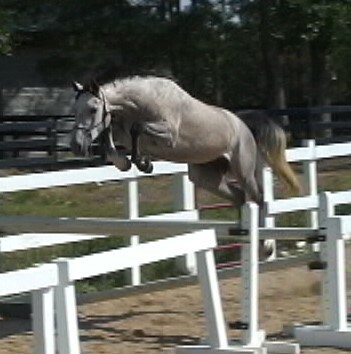 Look for him to do great things in the Eventing World in the Near Future! 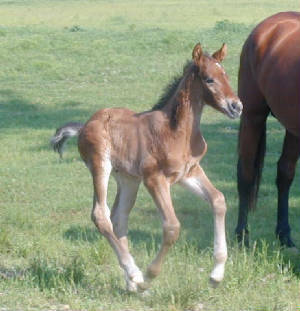 This gorgeous 2006 KWPN-NA filly has the world at her fingertips! 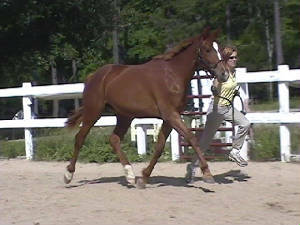 Shown lightly in 2008 as a 2 year old in the Hunter Breeding In-Hand Classes, she finished second in her Zone, Second for the KWPN-NA, and 17th in the U.S. We are looking forward to getting her started under saddle this year as a three year old! 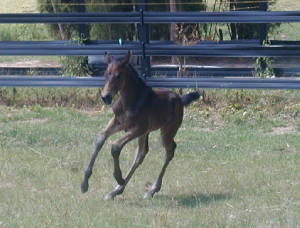 2007...a Beautiful filly by Liberty Gold! 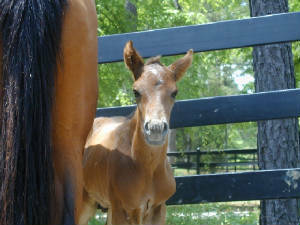 This filly was born to be special! 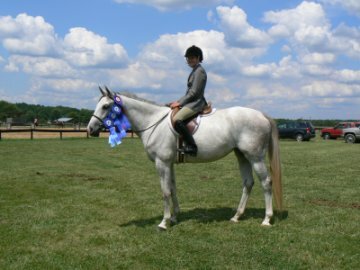 Her current owner saw her when she was just 5 days old, and bought her the next day Last year, she went to a couple of USDF Breed shows, and placed well in every class, qualifying for the Great American Insurance US Championship Series. 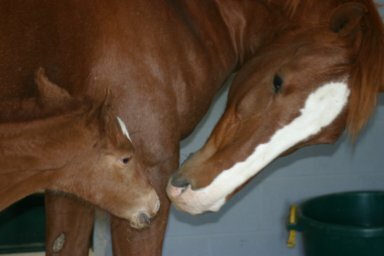 She has the fantastic amateur friendly disposition that Daylee puts on all of her foals, and is also a fantastic mover...every year, Daylee's babies continued to improve. 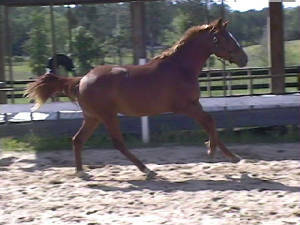 Bori is a very handsome young colt by Bergamon, with the best movement of all the Daylee foals. 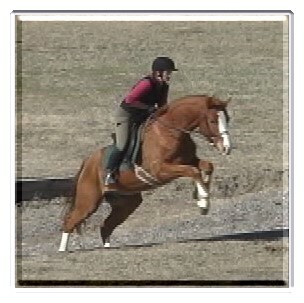 He was sold before weaning to an Amateur as her future dressage mount, and he will be spectacular!!! 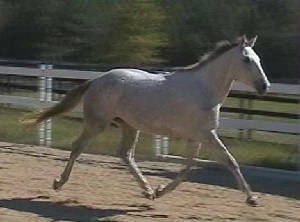 Rest In Peace, Beautiful Lady...run free and fast!